Who are the Fectienses seniores? 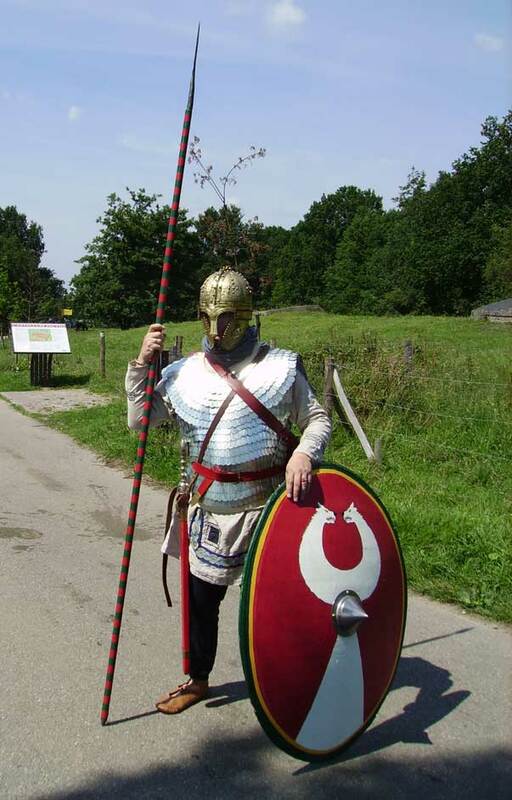 We are a Late Roman re-enactment group, based in The Netherlands. 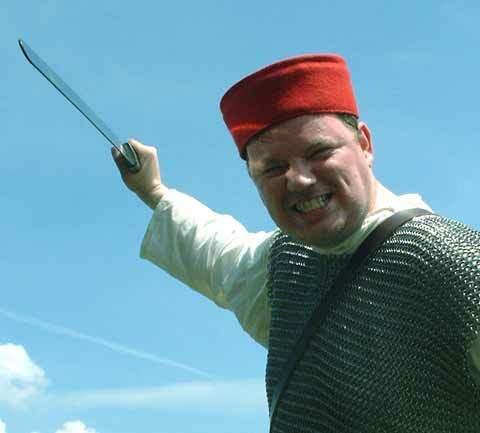 Our period of choice is the 4th and 5th century AD, the time when the Roman Empire was increasingly beset by aggressive enemies from the outside and usurpers from within. Strong Emperors managed to secure the borders, but weak ones and internal strife brought the downfall ever closer. This period needed strong soldiers, and thats us - the Fectienses seniores. 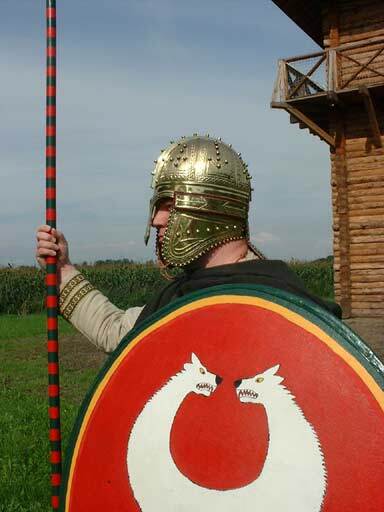 The short name for our group is Fectio, named after the Roman fort on the old Rhine border or Limes, which is now close to the tiny village thats still called Vechten. 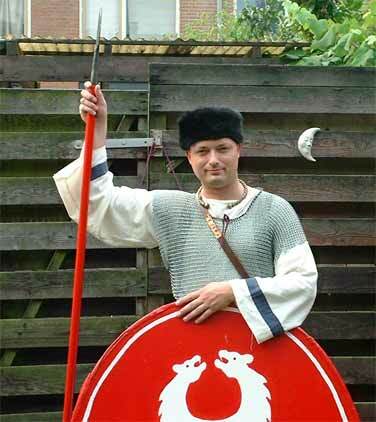 The group was started in 1990 by two young living in Utrecht, when suddenly Marcus Junkelmann and his German colleagues trotted through Utrecht on horseback, on their epic journey as Roman cavalrymen from the North Sea coast to their base in Germany. This had quite an impact. 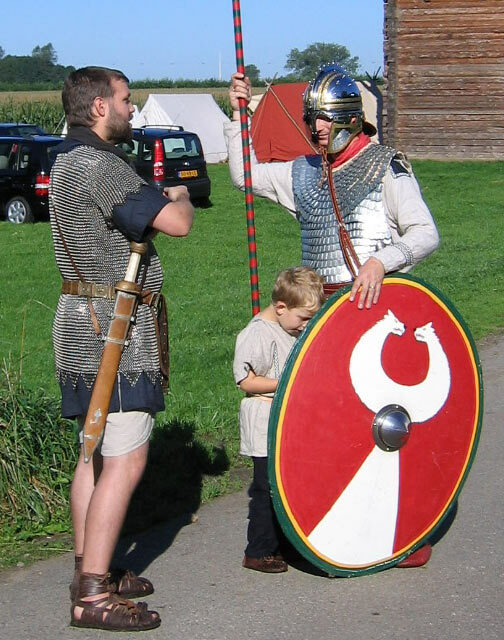 So when a mass of Roman re-enactors from many European countries returned to The Netherlands back in 1997 during the Roman Days at Odijk, we decided that we wanted to set up a group of our own. The originators are still known as Chariovalda the Salian and Valerius the Chamavian, referred to in this age as Andreas and Robert. 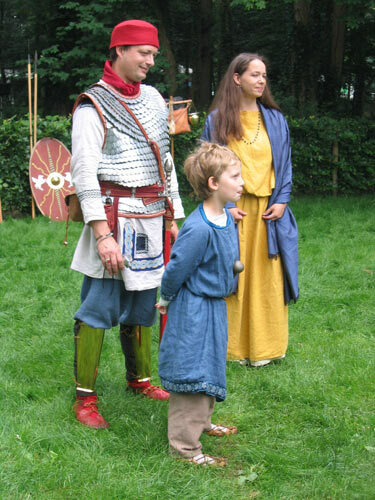 Since then the group has seen some expansion with two children, Ariana and Hieronymus, and more recently Iannica, an archaeologist. And here we are. 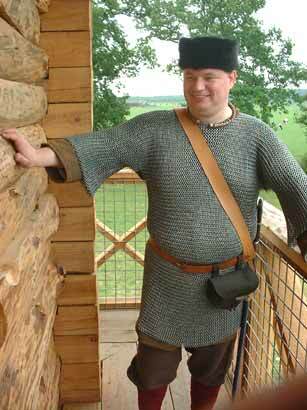 Fectio is not a in the first place a military display group, but we portray the life of an infantryman between c. 250 and 450 through example. 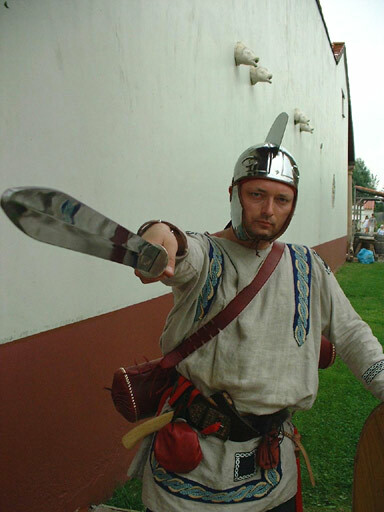 Our goal is to show anyone who wants to find out more about the Late Roman soldier. 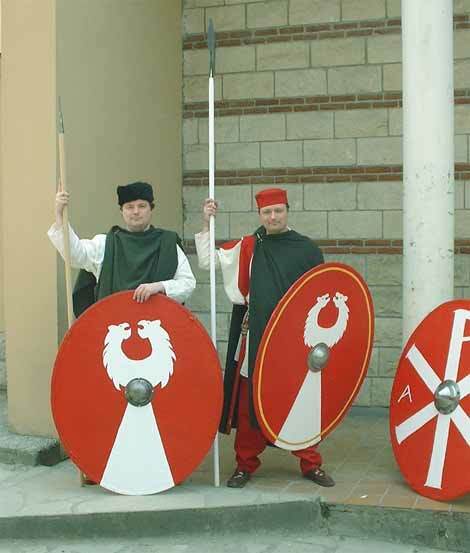 At events we show what these men looked like, and we'll be able to tell the public about any detail of the equipment we carry with us. Our main aim is education by show and tell, to both children and adults alike. 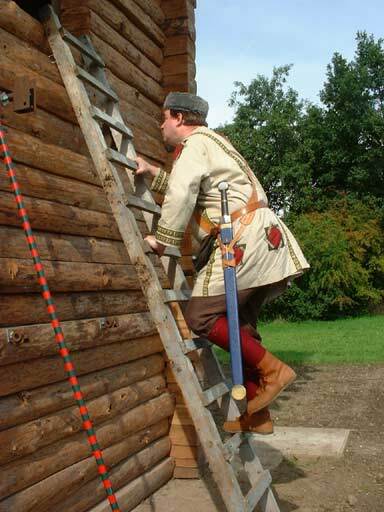 Fectio often works together with other Roman groups, but we also do an event at a museum, a school or at our 'home base', the replica of the Roman tower at Fort Vechten. 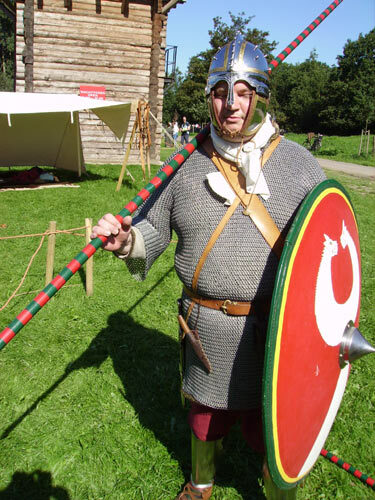 The Fectienses seniores are a (ficticious) unit of the Late Roman mobile field army of Gaul. 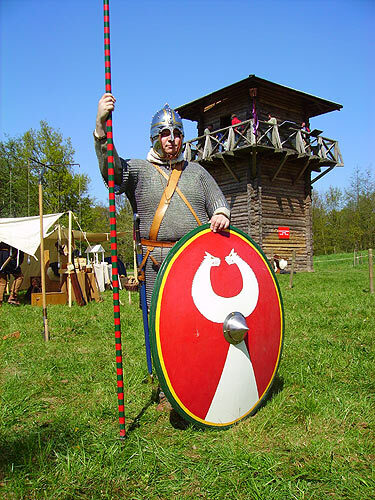 We do not have a fixed base, but we are billeted amongst the civilian population, to be called upon either when the enemy has breached the border in large numbers, or to oppose usurpers who attempt to take the Empire by force. In short, we are a fire brigade. 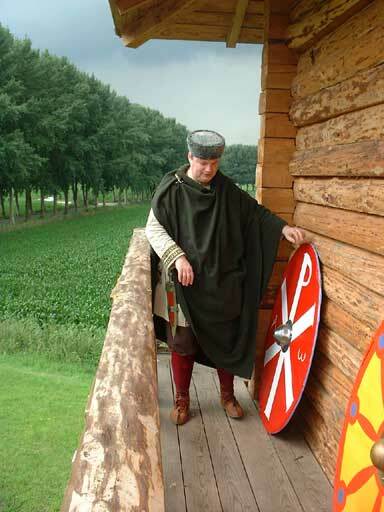 The Fectienses seniores originally were a cohort on the Lower Rhine, stationed in the fort named Fectio. 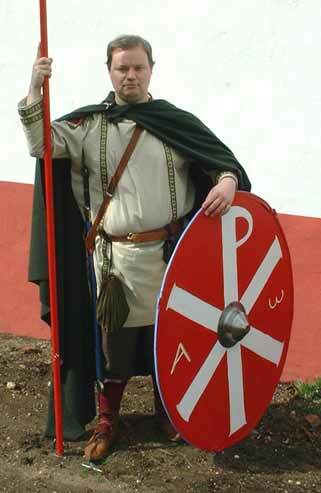 This unit, now long lost, provided a vexillation to the field army in the late 3rd century, a detachment which became an independent unit by itself, the Coh. Fectienses. 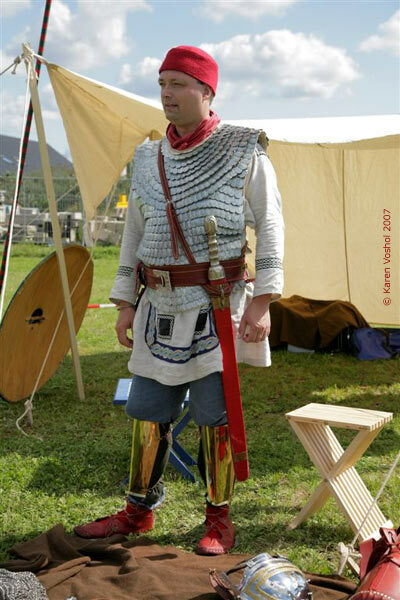 This unit, after being stationed on the Danube, again entered the field army as a Legio Comitatensis, after which it was split in two separate units, the Fectienses seniores and the Fectienses iuniores. And while the other unit now serves in the field army of the East, our unit remained in the West, defending the Lower Rhine frontier. How do you join? Contact us, and we'll talk. You don't need to be a historian, all we ask is that you are enthusiastic and willing to get 'inside' the period. 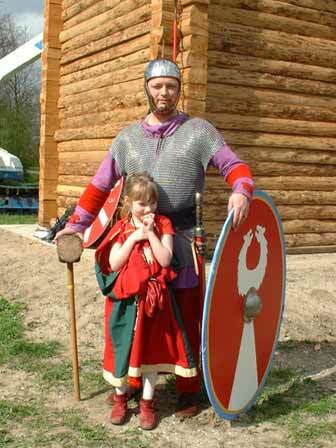 We encourage any future member to develop at least some knowledge about the times, the clothing, the weapons. Then we'll try it for a year. We don't ask you to spend lots of money to get the same equipment that we have right from the start, but we do ask that you are willing to get some and make the rest. Getting started won't be a problem, we'll be glad to help you out where we can and lend you the material you'll need to attend any event you want to attend with us. We have no problem with age or gender, bring your kids if you have any.